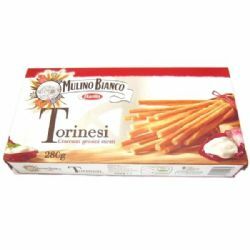 Mulino Bianco Torinesi Grissini - very thin, crisp Italian Breadsticks. 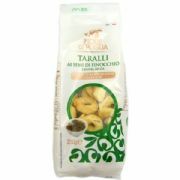 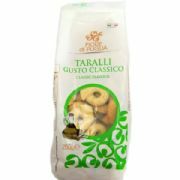 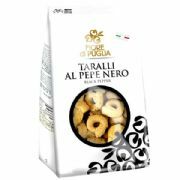 A tasty, crunchy accompaniment to a plate of anti-pasti or charcuterie or simply nibble with a drink. 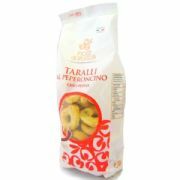 Ingredients: Wheat Flour Type “00”, Non-Hydrogenated Vegetable Oil (6.6%), Corn and Barley Malt extract, Durum Wheat Semolina, Salt, Natural Yeast. 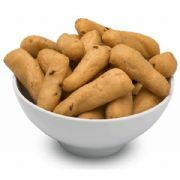 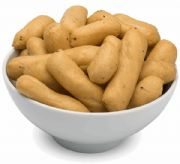 Produced in an environment that handles peanuts ,nuts, milk, sesame, soya and eggs.